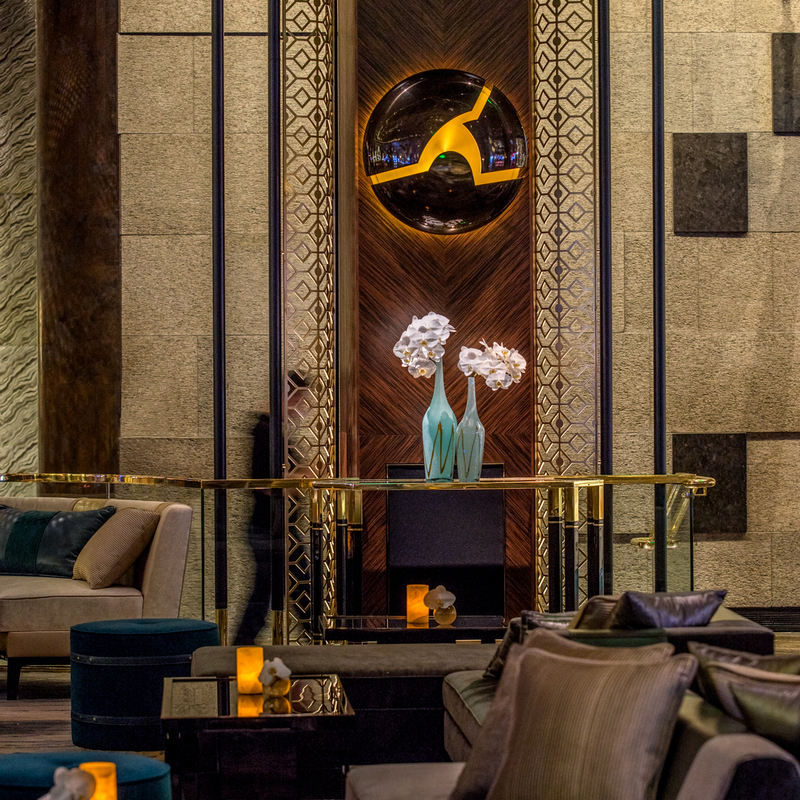 At the heart of Las Vegas's Aria Resort Casino, Alibi is one the most luxurious 24-hour gaming lounges. Alibi becomes one of the many immersive entertainment destinations from nightlife maverick, the Hakkasan Group. 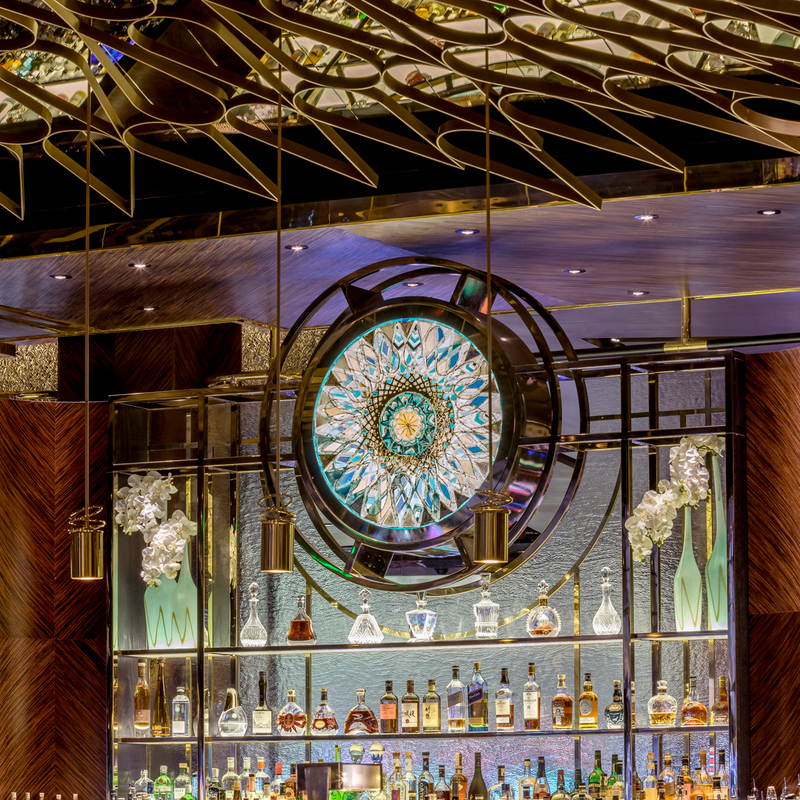 The dazzling cocktail lounge reveals the convergence of premium spirits and imaginative cocktails with bespoke opulence. 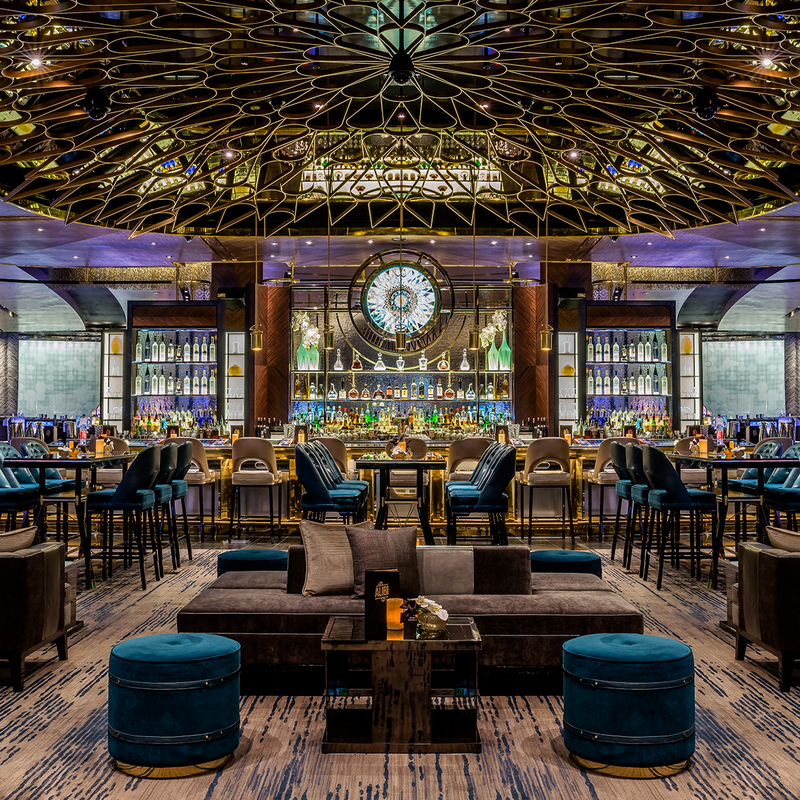 Notably, the ornate brass ceiling screen features a faceted mirror veil offering mysterious reflections and perspectives of the lounge while creating the sense of a visual enclosure for the open concept space. With hints of the prohibition era, Studio Munge's design has been celebrated by the HOSPY Awards for Best Bar Lounge. Alibi Ultra Lounge brings a sophisticated and sensual experience to the world-renowned Las Vegas entertainment. "Aria’s swanky Alibi Ultra Lounge has really been bringing the ultra. Don’t let all that raging disguise the fact it is one of the Strip’s stellar cocktail lounges, a place where creative flavors can recalibrate the way you think about the casino bar." "The elegant decor elicits pure and unadulterated Old Vegas glamour."